These are fun vintage settings. 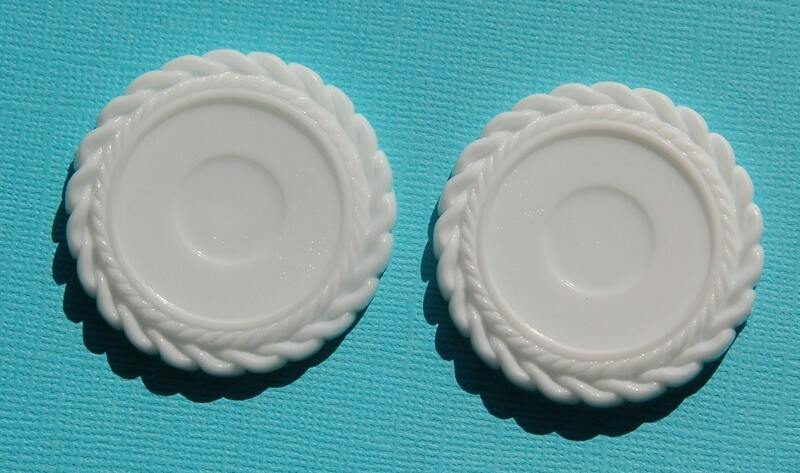 They are round white plastic with a place to set a cameo or stone in the center. 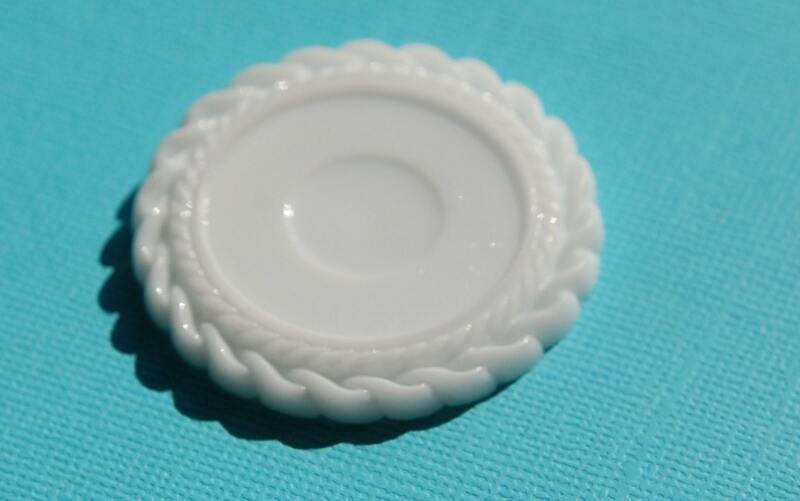 The whole piece measures 45mm. The settings holds a 30mm cab. You will receive 2 of these. What can I say I love Yummy Treasures, They have the best, most fun objects! Thank you. Very, very nice! Really dress up a couple of 30mm cameos I had on hand!! !